It’s hard to watch the 2019 update of Dumbo and not think, “what’s the point?” The animated version of the film already exists, and that 1941 hand-drawn classic tells a full-bodied story in nearly the same amount of time it takes to watch most hour-long TV shows. Yet Disney’s live adaptation tacks on another 50 minutes, supplementing an already rich story with heavier baggage and fruitless subplots, hardly justifying its so-called reinvention for a new generation. Not every property needs to be remade or re-imagined; oftentimes it’s enough for stories to be remembered, revered, and passed down from one generation to next should they be so worthy. 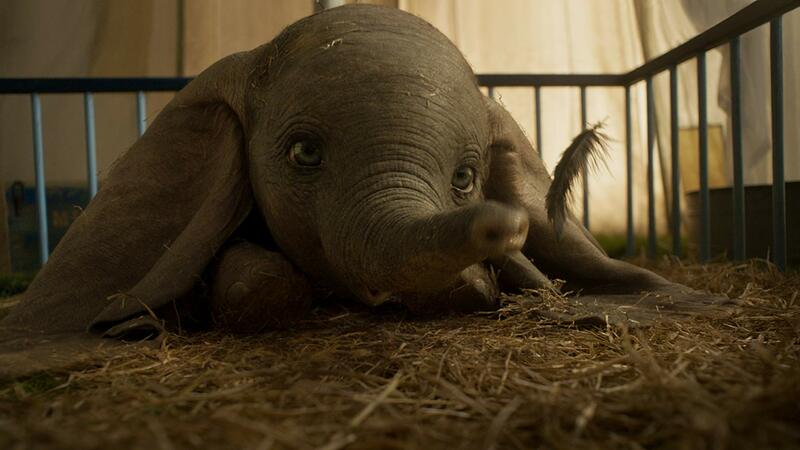 Dumbo undermines its legacy. 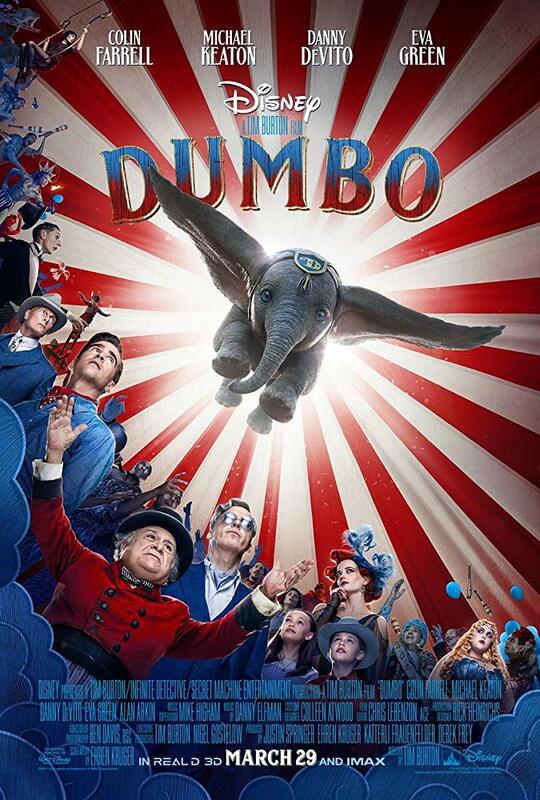 In this telling of Dumbo, the menagerie is made up by a bunch of humdrum humans working under the big tent. Medici (Danny DeVito) is the ringleader and manager of his own circus, a small-scale traveling show that briefly diverts attention more than it really entertains. Back from the war, the newly widowed Holt Farrier (Colin Farrell) has lost his wife and an arm, and the horse act he once managed had to be sold to makes ends meet. 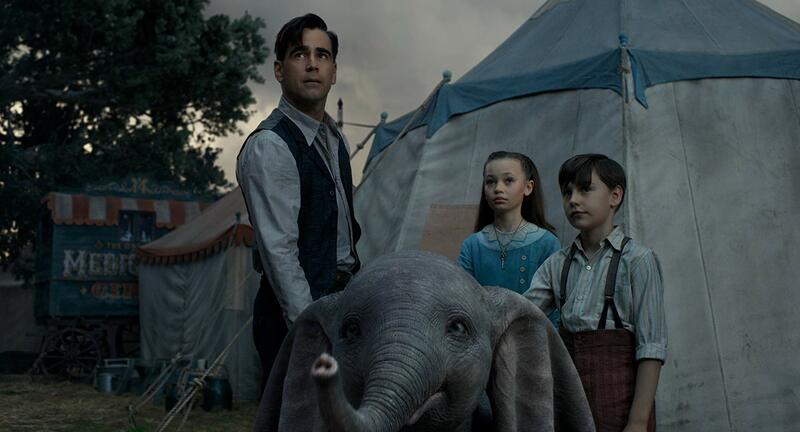 He’s now in charge of Jumbo the pregnant elephant, whose eventual offspring is nicknamed Dumbo by the local yokels and drunken dockyard men, and Holt’s two children Milly (Nico Parker) and Joe (Finley Hobbins) take a liking to Dumbo. The hound-dog looking elephant gives them a chance to learn responsibility, possibility, and what it means to leave the ground. There’s a bizarre and indefensible choice to include a trapeze artist by the name of Colette Marchant (Eva Green) who’s meant to be in command of this odd-couple, high-flying, inter species high-wire act. Green’s a great actress and she plays the role as best as she can with this dime novel type of character (and she looks similar enough to a younger Helena Bonham Carter, Burton’s ex-wife and frequent collaborator, that after the droll Miss Peregrine’s Home for Peculiar Children and this one I think he might have found a new muse). Mostly though, Dumbo is at its most disinteresting when the grand spectacle and the imagination are bogged down by unfulfilling characters and their wan development, which just so happens to be the majority of the movie. Why watch this movie when you can stream the masterful Okja on Netflix? As if being wholly unnecessary wasn’t a big enough issue, Dumbo doubles down on its own lack of self-awareness by introducing V.A. Vandevere (Michael Keaton in a such a maniacal and unhinged performance), a wealthy tycoon who’s determined to buy up acts and shepherd them into his poorly managed but extravagant looking Dreamland. In the latest live-action adaptation, the Disney company and their ever-growing monopoly of properties and platforms obliviously paints itself as the antagonist we should actually be fearful of. One driven by greed, by unoriginal ideas, the exploitation of talent and the re-branding of content. 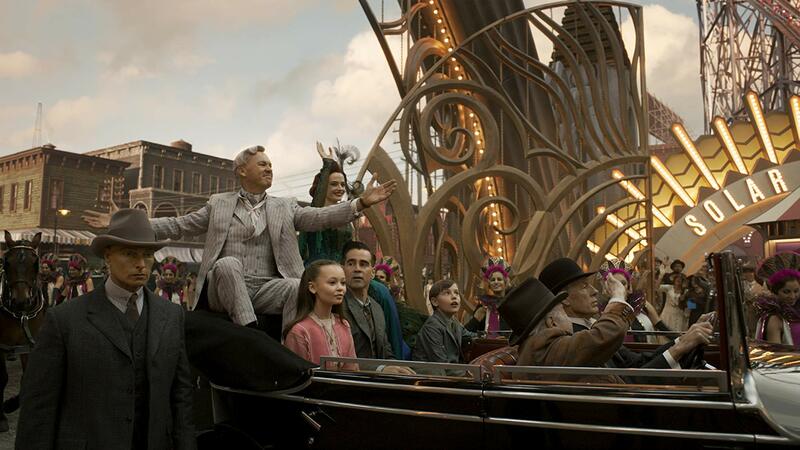 Dumbo should be a heartening film with an uplifting message, yet with only a few faint traces of Tim Burton’s iconoclastic magic (which has been missing from everything he’s done post Big Fish), this handsome and vain movie has been shackled by capitalistic ideologies both on-screen and off, and confined to a space so small that there’s no opportunity for its adorable pachyderm to take flight.